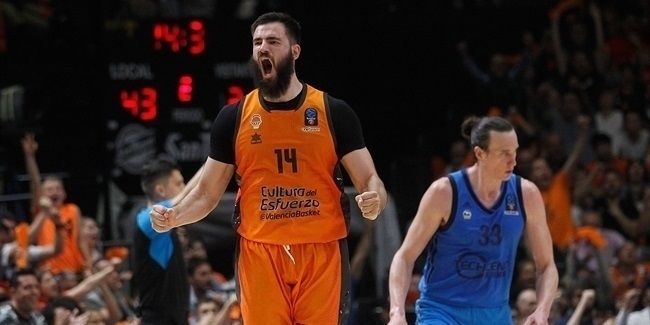 The new year started on a high note with the 7DAYS EuroCup Top 16 opening round. Eight exciting duels across the continent brought the first wins of this decisive phase and when the dust settled, DeAndre Kane of Nizhny Novgorod emerged as weekly MVP thanks to his performance index rating of 39, the highest among winning players. Kane had his best performance so far in the season to lead his team to a home win over Zenit St Petersburg. He netted 31 points - including 10 of 12 2-point shots -, pulled 9 rebounds, dished 2 assists and drew 2 fouls. His PIR and scoring registers are both career records for him. After Kane was Devin Booker of FC Bayern Munich, who led his team to a road win with a PIR of 33, thanks to 19 points, 15 rebounds, 2 assists, 3 steals and 6 drawn fouls. It was his best game yet in the EuroCup. Another individual performance stood out in Round 1 as Ryan Boatright had a PIR of 51 to tie the fourth best mark ever in the EuroCup. Despite this high register, his team, Cedevita Zagreb, didn't manage to pull the win, so he was not eligible to receive MVP honors. Boatright scored 37 points and dished 11 assists in defeat. 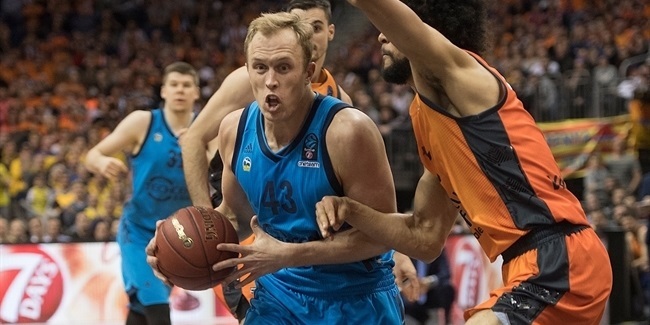 Two players, Alexey Shved of Khimki Moscow Region and Ivan Strebkov also of Nizhny Novgorod, complete the top individual performances of the week with 28 PIR each. Boatright's 37 points was, unsurprisingly, the top scoring mark this week, falling just one point short of the best figure this season, 38, set by Pierre Jackson, also with Cedevita. MVP Kane was the only other player to surpass the 30-point mark in Round 1 thanks to his 31 points. Booker's 15 boards set a new career record for him (also records were his marks in PIR, points, defensive rebounds and steals). Vladimir Ivlev of Lokomotiv Kuban Krasnodar was the only other player with double figures under the glass with 10 rebounds. 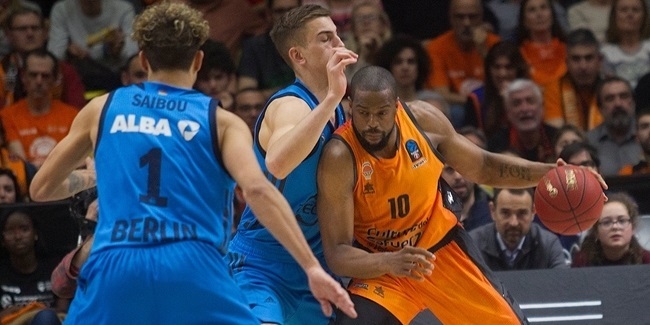 Two players set assists best marks this week in the same game, as Boatright and Antoine Diot of Valencia Basket dished 11 decisive passes each. In the defensive end, Chris Babb of ratiopharm Ulm led the steals rankings with 4, while Drew Gordon of Lietuvos Rytas Vilnius and Max Kleber of Bayern had 3 blocks apiece to lead the rankings.